This photograph has been scaled down; full resolution photograph is available here (5,680 by 4,598 pixels). My wife has a photo album of almost 600 photos of ww2 photos. The album appears to be one that belong to some kind of journalist. 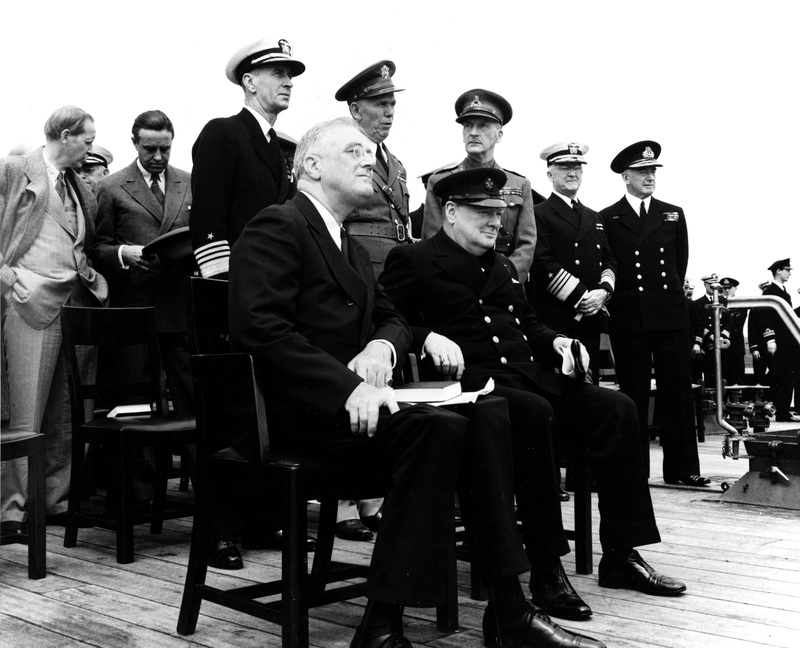 There is a autographed picture of Winston Churchill Franklin Roosevelt and three other autographs from the Atlantic charter. Some photos have stories written on the back of them. The photo album is very old and almost has to be all of the journalist personal photos. Some are stamped not to be released. We are wondering value and authenticity. It says corporis Christie naval base on cover. It is sighted on the inside of cover "this book belongs to C. L. Gregory" any help would be appreciated. We can reached by email chrisbaxter0805@gmail.com or phone# 580-665-9031 or 5807306244. TBM-1C Avenger crash landed aboard USS Hornet (Essex-class) after the landing gear collapsed due to hydraulic failure from battle damage, 15 Jun 1944. Photo 2 of 2.